All members of the community are welcome to help place wreaths on nearly 800 veteran’s graves at the Lancaster Cemetery starting 9 a.m. this Saturday (Dec. 14). LANCASTER – The community is invited to recognize the service and sacrifice of our local veterans by honoring them with a holiday wreath at their graves this Saturday. The Wreaths Across America wreath placement will take place at 9 a.m., December 14, at Lancaster Cemetery, located at 111 East Lancaster Boulevard. 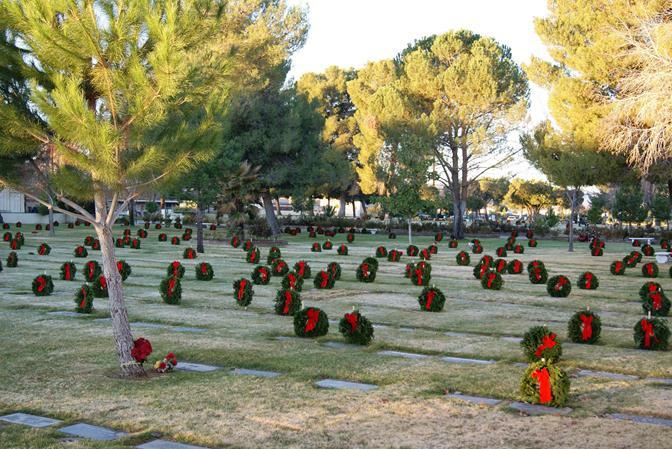 All members of the community are welcome to help place the wreaths on nearly 800 veteran’s graves at the cemetery. A brief ceremony will commence with cadets from the Joe Walker Civil Air Patrol squadron raising the flags and will conclude with an introduction to the history of the Wreaths Across America program. 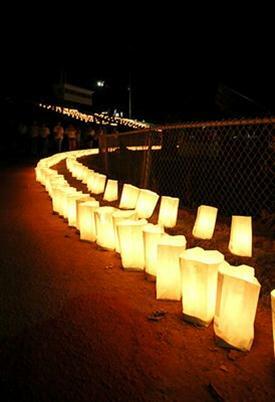 A luminary display titled “A Thousand Lights, One Spirit.” begins at 4 p.m., with the luminaries being lit at 4:45 p.m.
Lancaster Cemetery will continue honoring the veterans with a luminary display called, “A Thousand Lights, One Spirit.” That ceremony will begin at 4 p.m. on Saturday, December 14 at the Lancaster Cemetery Veterans Court of honor, with the luminaries being lit at 4:45 p.m. beginning at the west flagpole area. The candle lighting is open to the public, weather permitting. The community may drive or walk through the cemetery until 8 p.m.
For more information on Wreaths Across America, contact 661-942-6110. For more information on the luminary display, contact Dave Owens at 661-942-4224.